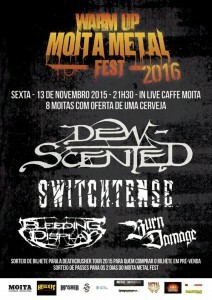 DEW-SCENTED - Relentless Thrash Metal from Germany - DEW-SCENTED » DEW-SCENTED in Portugal! 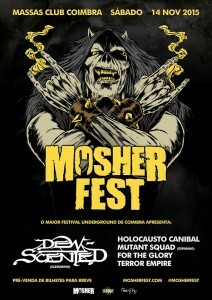 DEW-SCENTED - Relentless Thrash Metal from Germany - DEW-SCENTED » DEW-SCENTED in Portugal! Home > NEWS	> DEW-SCENTED in Portugal! We are happy to announce that we will finally be returning to one of our favourite countries to visit and play: Portugal. It’s been a few years now, so we are truly looking forward to these shows and to hanging out with our buddies in Switchtense! Video for “Ruptured Perpetually“ premiered! Intermination!! !